Now we will have conclusive proof of who kept bumping into the turntables. 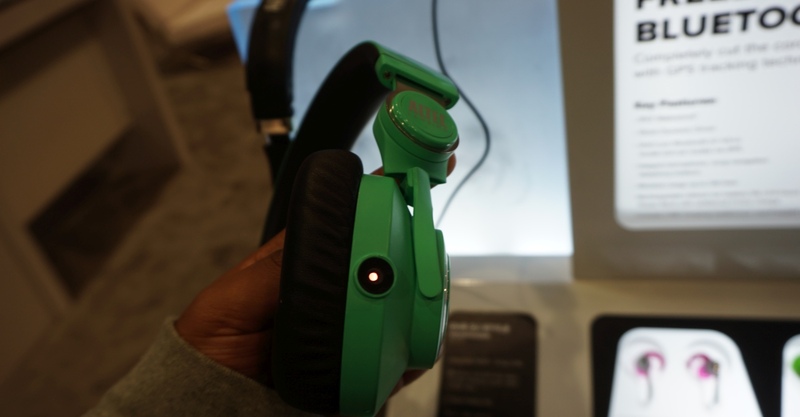 Even in person, Altec-Lansing's new DVR DJ-Style headphones seem more like a "because we could" item than something the world has been desperately asking for. They pack a tiny 1080p camera in one ear cup, pointing forward so the wearer can record the crowd they're (presumably) inciting into a near riot through the power of music. On the CES show floor it's impossible to say with certainty what kind of audio quality they have, but Altec-Lansing says the $200 cans will stream video out over WiFi, or store it onboard for use/blackmail later. 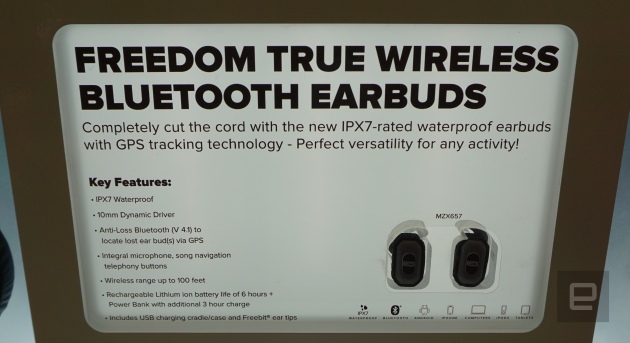 I also took a peek at the company's new GPS-equipped wireless ear buds, but while they could "completely cut the cord," I couldn't cut the glass they were hidden behind so this pic will have to do.